When commercial drones were first introduced, the geospatial industry immediately adopted them. Equipped with different types of sensors and cameras, drones were turned into flying data collection devices. It soon became obvious that drones could optimize workflows, improve safety, project results and realize considerable cost savings. 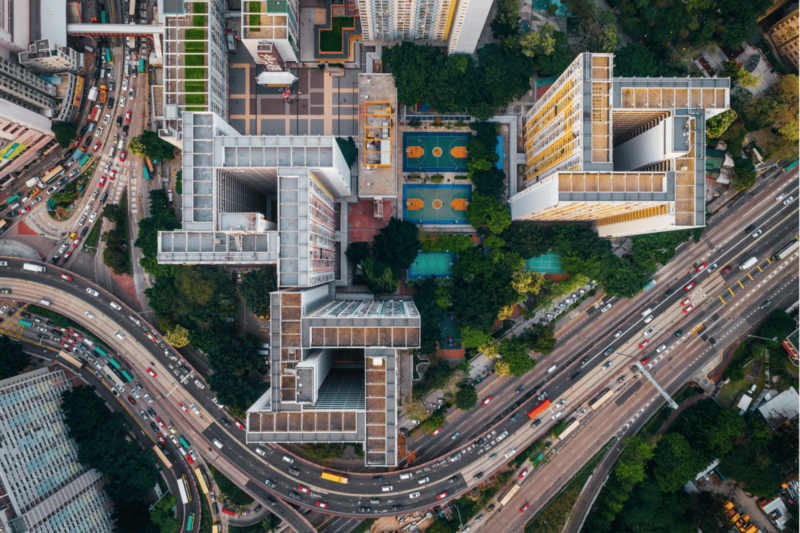 The following examples show how geospatial companies are using drones in different verticals that use geospatial data. UAV’s can ease the work of terrestrial surveying projects greatly, for example in dangerous areas where landslides and earthquakes are common. An example of this is a mapping project in Papua New Guinea, carried out by Survey & Design, a survey firm in North Queensland, Australia. Using UAV for topographic site surveying, the team was able to save time and improve safety: the surveyors didn´t need to enter risky areas and set up any surveying equipment there. Using advanced sensors, the data accuracy was as good, if not better, than using traditional surveying methods. While drones certainly have changed the mapping and surveying industry, cost savings, efficiency and safety gains require good preparation and only apply to the right audience: surveying companies looking to work smarter, meaning doing more with less. While drones have proven to be an excellent way to do more with less, surveying companies first have to invest before they’re able to see any financial benefits. For example, in training in order to be able to operate UAV’s, and a complete UAV system (not just a drone, but a whole set of both hardware and software tools) that produces the required deliverable. For years, mapping and surveying companies had to rely on airborne photography when mapping open pit mines. But airborne photography proved to be expensive, as airborne mapping projects usually cover large areas in order to be profitable. Drones proved to be a great alternative for small-scale mapping areas such as open pit mines. In addition to this, they are able to map areas that are unsafe and inaccessible for humans. The same can be said of using traditional land surveying equipment in mines, which is problematic, but not so using UAV’s equipped with airborne cameras. Leica Geosystems offers an autonomously flying hexacopter called the Aibot X6 that can be used for geospatial data products such as orthophotos (geometrically corrected aerial images), 3D models and point clouds (sets of data points in space, containing an x, y and z coordinate). 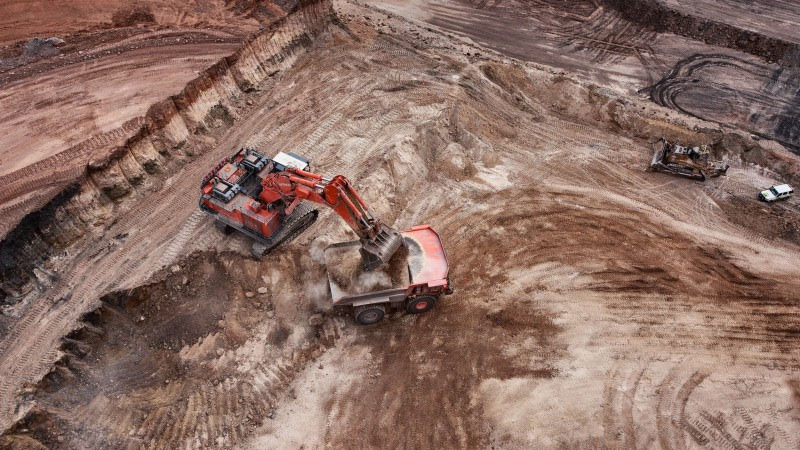 Apart from mapping purposes, ongoing work in open pit mines can be monitored using UAV’s, for example stockpile, muck pile monitoring and analysis, as well as plant, equipment and highwall inspections. Digital agriculture is another market where drone technology is applied more and more. Specialized mapping software companies build solutions using drones, drone imagery and photogrammetry techniques that help farmers manage and monitor their crops. 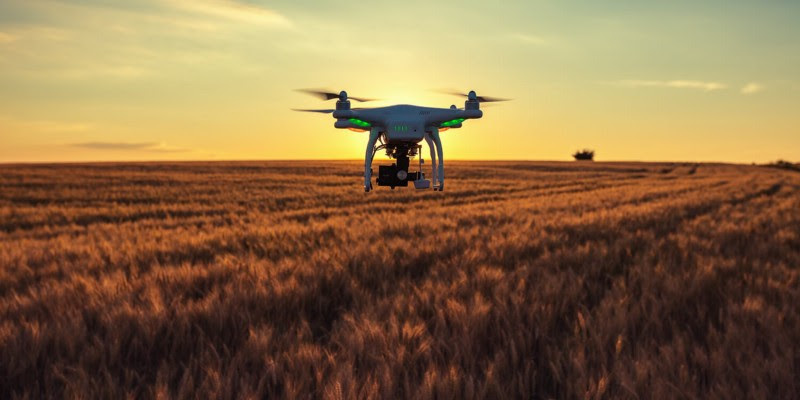 For example, timely and high-resolution drone maps help farmers to scout crop issues, whereas vegetation index maps help them to understand a plant’s stress. Detailed digital surface models help farmers to plan irrigation, structure fields to minimize soil erosion, while aerial imagery from drones can be used to validate insurance claims. And this is only the beginning: new agriculture applications are being developed constantly. A great help will be the creation of detailed time-series, that will help understand how crop changes over time, as a result of different agricultural techniques. 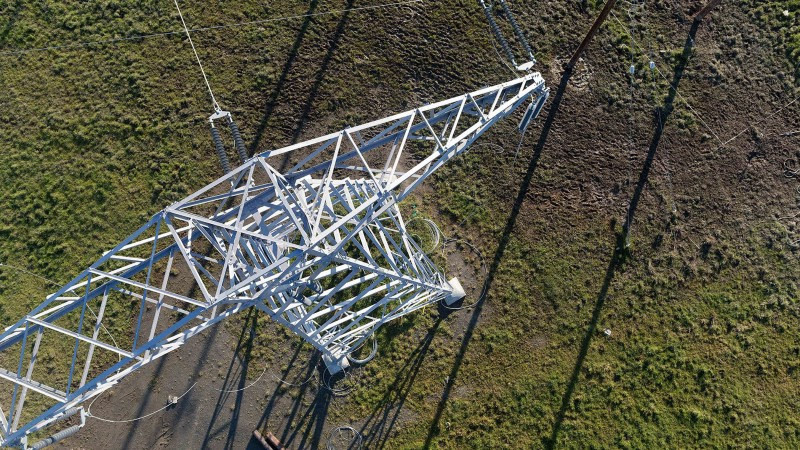 Inspection of powerlines is an important use case for drones. The energy industry has turned away from using helicopters and ground operations in order to automate expensive and time-consuming grid surveys, as well improve safety, data management and reducing the environmental impact. Delair-Tech, an end-to-end drone solution provider that is active in many different industries, claims that drones are 30 to 40 per cent more cost effective than using helicopters for powerlines inspection work, while long-range drones might save energy companies up two 2.5 million Euros per year. 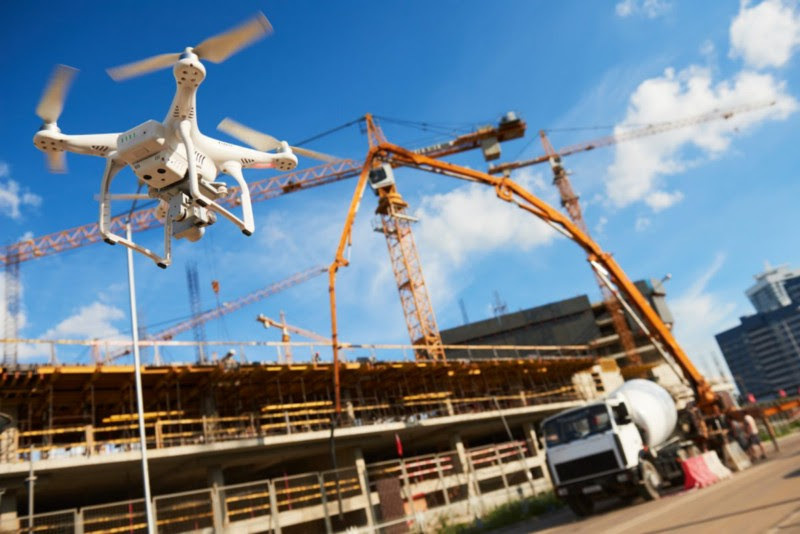 Construction sites can be managed and improved by using drones. Safety is always a big issue at these sites: the good news is that using drones instead of construction workers for taking measurements or other activities can help avoiding casualties. Second, because jobsites tend to change quickly over time, drones can be used as monitoring devices by collecting data of the surroundings. 3D models that are based on drone-based data collection, can accurately display day-to-day updates that in turn can be shared among all stakeholders, providing one single source of truth. This in turn helps to mitigate risk and identify problems before they arise, as well as avoid costly mistakes. This article covered the use of drones in multiple verticals, showing how surveying and mapping projects can benefit from using drones. Unfortunately, drone projects are mostly carried out once, and the data is used by only a few stakeholders. What would happen if there was to be a global super-map where many more stakeholders could benefit from other people’s drone data? The answer is Soar, a decentralized platform that combines cloud with blockchain technology in order to create a community driven marketplace for drone operators to distribute and monetize their content. This way, drone, aerial and satellite data can be re-used, while at the same time a worldwide GIS database gets created, spurring the creation of new applications that can use this global super-map. Read the Medium article here.